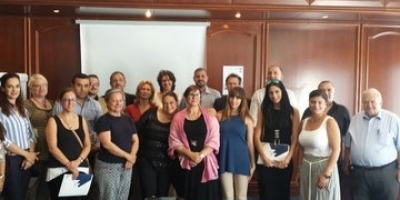 The International Conference of the European Municipalities Network on "Migration and Integration: The role of local authorities, policies and the MIPEX benchmarking” was successfully organised on Monday, 22nd of June 2015, at the University of Nicosia in Cyprus. It aimed at introducing the role of local authorities to the public debate on migration as well as their practices, opportunities and challenges with regard to migrants’ integration in the society. 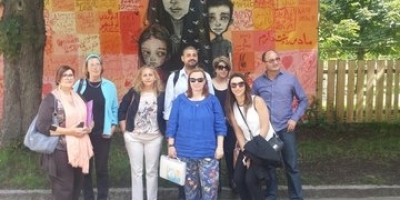 The conference attracted more than 60 participants from local and European municipalities and from various organisations dealing with migration and Third Country Nationals, such as officers from public bodies, networks and platforms, non-governmental organisations and academic institutions. Initially, as part of the conference, CARDET, the project coordinator, presented the project results for the establishment of the Network and the material developed. Moreover, the role of local authorities in Cyprus on migration and integration was analysed and, subsequently, municipalities’ representatives from European countries (including Cyprus, the Netherlands, Sweden, Italy and Finland) presented their experiences and views about migration, integration and diversity. 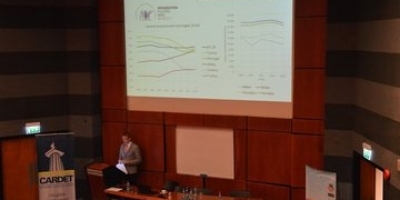 As highlighted by most speakers, local authorities have a key role in dealing with migration and integration; however, their absence from decision-making procedures constitutes a main barrier in promoting migrants’ integration, which actually reflects the main challenge stemmed from the general migration policy followed by several EU member states. The second section of the conference was dedicated to the official launch of the Migrant Integration Policy Index (MIPEX). 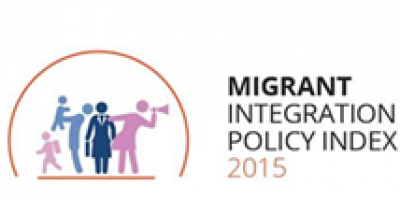 The MIPEX is a unique tool which measures integration policies for migrants in EU member states, Australia, Canada, Iceland, Japan, South Korea, New Zealand, Norway, Switzerland, Turkey and the USA. It should be noted that the 167 policy indicators developed are a useful tool for many governments through which they are able to evaluate and compare their national integration policies in labour market mobility, education, political participation, access to nationality, family reunion, health, permanent residence and anti-discrimination. As pointed out by Thomas Huddleston, Program Director on Migration & Integration (Migration Policy Group), the MIPEX brings a new level of maturity and evidence to the often politicized debate about the successes and failures of integration policy. He also stressed that the creation of strong links between integration policies and public opinion is beneficial, since inclusive policies likely help public to trust migrants and see benefits (as the case in Sweden shows), while restrictive policies harden xenophobic attitudes, distrust and perceptions of threat. In both parts of the conference, fruitful discussions took place on the current major challenges of local authorities in the areas of migration and integration, particularly in the area of participation in decision-making centres and the development of relevant policies. As a general assessment, the parties seem to agree that the management of migration, the promotion of migrants’ integration and their participation to the local economy are (or should be) a main objective of the European local authorities. To this end, the important role of the European Municipalities Network as a European platform providing useful information regarding migration and sharing good practices of EU local authorities as well as its contribution to the development of a general strategy for the management of migration and integration of Third Country Nationals in the local communities were stressed. Finally, the conference significantly contributed to laying the foundations for the effective functioning of the Network and its further expansion. All stakeholders can register to the online platform of the European Municipalities Network on www.municipalitiesnet.eu. You can access the presentations from the MuNet International Conference here.